For over 80 years, Parkway Exterminating Co., Inc. has been providing quality pest control service to Long Island, Brooklyn and the New York Metro area and we plan to continue this service for another 80 years or more. However, as times change, so does the pest control industry and Parkway has always strives to be in the forefront of the industry. It is for this reason, Parkway Exterminating Co., Inc. will become known as: PARKWAY PEST SERVICES. 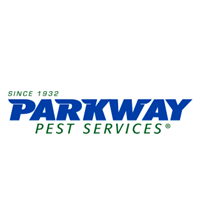 Parkway Pest Services is a third generation, family owned and operated company licensed in New York, New Jersey and Connecticut. Our technicians are trained in the latest pest control technologies and techniques and are certified by each state they provide service to. Two full-time Board Certified Entomologists, Agronomists and Certified Wildlife Experts work for us and only us.